Stay up to date on best practices for healthcare revenue cycle management with PMMC's blog. For hospitals contemplating revenue cycle solutions, it’s important to make sure your revenue cycle solutions aren’t half-baked. Have you ever bought a bunch of ingredients and gadgets to duplicate what the pros make on a cooking show? They make it look easy…but it’s not. There are nuanced skills with timing, technique, temperature, and other subtle variables related to sequence and presentation. Cooking shows are similar to industry consolidation; be it energy, automotive, or even healthcare. So, what do we get with consolidation? 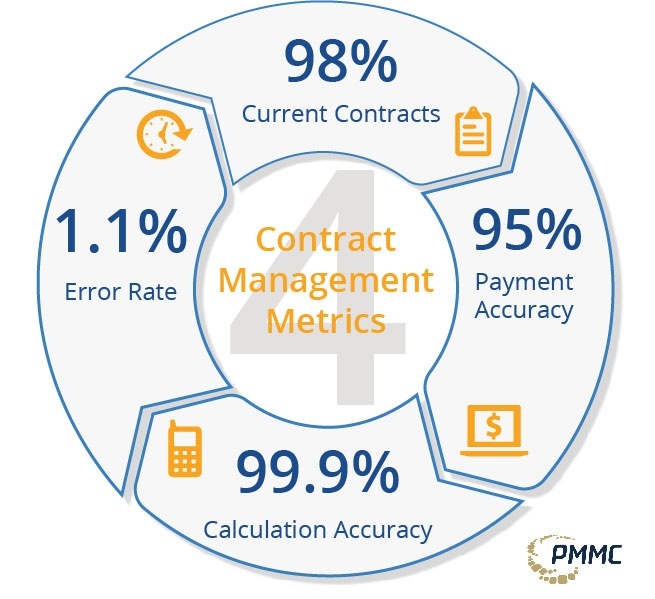 The proper use of healthcare contract management software can make a difference of 2-3 percent net revenue. Thus, the proper use of a contract management system should be considered “mission critical,” from a financial perspective, but it often does not receive the attention it deserves. This whitepaper explains how applying metrics to healthcare contract management helps assure all accounts receive appropriate attention, thus ensuring revenue integrity. During our recent webinar session “Intro to Narrow Networks: What’s the Impact on Healthcare Providers?” we polled healthcare providers on several topics around narrow networks. The path toward financial stability for healthcare organizations can be a bumpy road. Due to a surplus of big data, providers can utilize this information to search for any areas (aka. opportunities) where they can lower their costs by working together to create a solution that all parties can agree on. This process usually requires some give-and-take from both sides but the goal is to find new innovative means of lowering their costs, without sacrificing the quality of patient care. Much of the rhetoric surrounding mandatory bundles has been negative and defensive – i.e. how do healthcare organizations deal with these programs to prevent risk and avoid financial penalties to CMS? Click here for a 20 minute intro session to Narrow Networks. What We Learned (Part 3): Q&A "Adapting to New Reimbursement Models: How to Maximize Payer Performance and Maximize Revenue"
What We learned (Part 2): How Prepared are Healthcare Organizations for Value-Based Reimbursement? During the recent national webinar session “Adapting To New Reimbursement Models - How To Measure Payer Performance And Maximize Revenue” we polled healthcare providers on several topics around value-based reimbursement contracts and payer performance and monitoring.